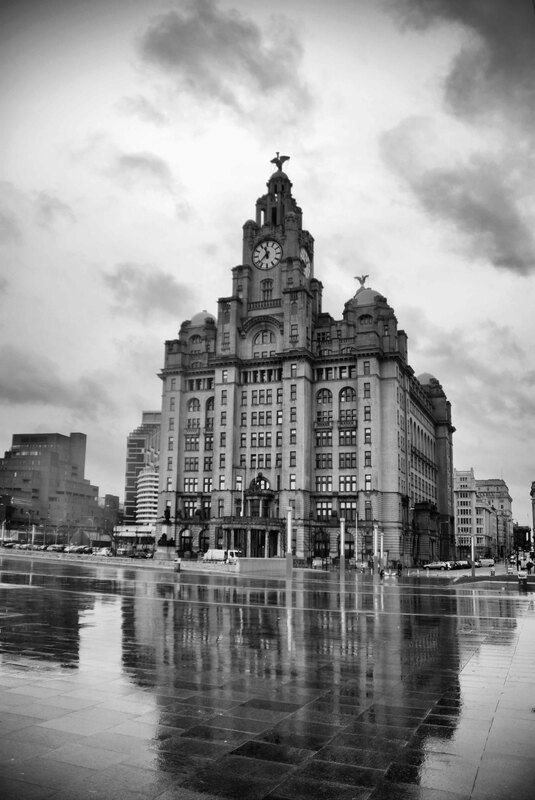 Iconic building – with the two Liver Birds visible at the very top of the structure (further details below). The Royal Liver Building ( /ˈlaɪvər/) is a Grade I listed building located in Liverpool, England. It is sited at the Pier Head and along with the neighbouring Cunard Building and Port of Liverpool Building is one of Liverpool’s Three Graces, which line the city’s waterfront. It is also part of Liverpool’s UNESCO designated World Heritage Maritime Mercantile City. Opened in 1911, the building is the purpose-built home of the Royal Liver Assurance group, which had been set up in the city in 1850 to provide locals with assistance related to losing a wage-earning relative. One of the first buildings in the world to be built using reinforced concrete, the Royal Liver Building stands at 90 m (300 ft) tall. Today the Royal Liver Building is one of the most recognisable landmarks in the city of Liverpool and is home to two fabledLiver Birds that watch over the city and the sea. Legend has it that were these two birds to fly away, then the city would cease to exist. Jeez, I sure hope those birds stay put. They fly, people die. Not cool. If you look closely I think someone has tied them down! They need to get a large English lass to sit on them birds, eh? The rain actually adds a lot to this beautiful photo, nice job. Thanks Christina. Adapting to the conditions is all we could do and I also like this shot. Nice shot Adrian, love the reflection. Thanks. The reflection is what drew me to this shot. My, but your work does have a feel for drama and timelessness. As was pointed out, and as I’ve noticed before in your photography, great use of natural elements. Thank you Alex for your kind comments.